Janet Yellen is arguably the most powerful woman in the world. Yet few Americans have actually heard of her -- about 70% of the U.S. population doesn't know who Yellen is, according to a NBC/WSJ poll from March. As leader of America's central bank, the Federal Reserve, Yellen has immense influence over global financial markets and the U.S. economy. Trillions of dollars can be lost or gained based on how investors interpret each word that comes out of Yellen's mouth. But volatile financial markets are the last thing Yellen wants. In fact, she often speaks in a monotone voice about Fed policy, attempting to avoid words or intonation that might rattle investors. 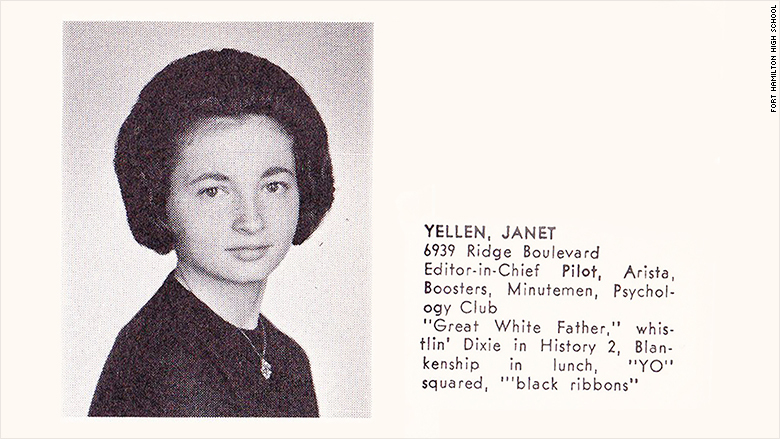 Yellen has cultivated a calm demeanor since her high school days in Brooklyn, New York, where she was a valedictorian. Along the way, Yellen has impressed many people, and not just for her smarts and her performance under pressure. She has also wowed friends with her cooking skills and her eclectic taste in different kinds of foods. Yellen is very much in the spotlight now. She and the Fed could make history on Thursday with a move that has the potential to impact millions of Americans and global financial markets. The Fed's committee members are expected to vote soon to raise the Fed's key interest rate for the first time in nearly a decade -- if not this week, then sometime soon. A rate hike will be a signal that the Fed considers the U.S. economy healthy. But the risk is that it could trigger violent swings in global markets. Much of Yellen's time so far as Fed chair has been a continuation of the policies of her predecessor, Ben Bernanke. But how and when Yellen handles the first rate hike and subsequent ones will define her legacy, experts say. "As we get into raising rates, I think this is going to be the Yellen era," says Gus Faucher, senior economist at PNC Financial Services. "This is going to make or break her tenure as Fed chair." Yellen's friends, former Fed officials and independent economists say she is unassuming, cool under pressure, and always fully informed on her decisions, even in the face of serious uncertainties. It's not like Yellen hasn't gone through tough situations before. She was a senior Fed official during the financial crisis and recession. Andrew Rose was with her when one of the deadliest earthquakes struck the area. It was October 17, 1989, and the Loma Prieta earthquake was rippling through the San Francisco area, killing dozens and injuring thousands. 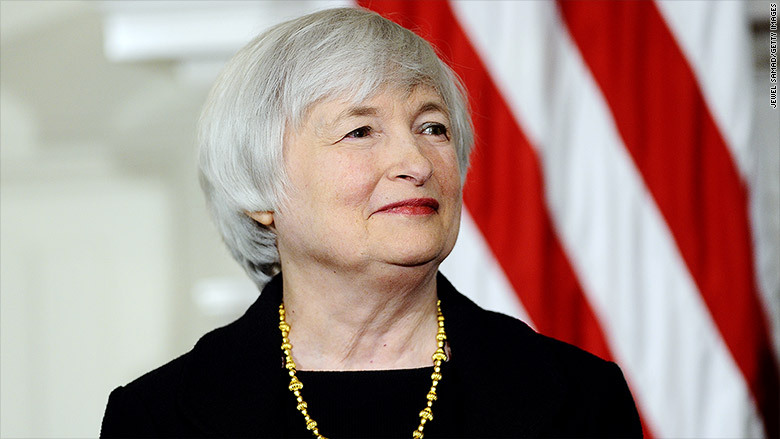 Rose and Yellen were both professors at the Haas School of Business at the University of California, Berkeley. As the walls and floors shook beneath him, Rose thought Yellen was going to be the last person he saw alive. 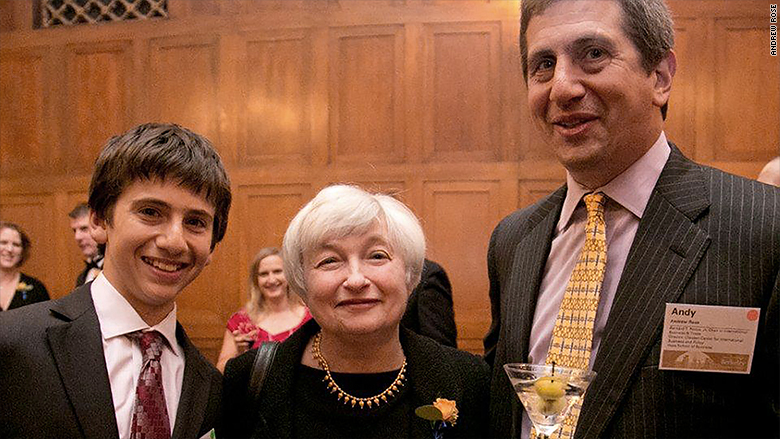 Janet Yellen with former colleague and Berkeley professor Andrew Rose and his son. They were both on the 6th floor of an old campus building. Rose quickly ran to a door frame for safety but saw that Yellen didn't do the same. Yellen stayed at her desk. "She was reasonably calm. She didn't cry or scream," says Rose, an economics professor and a close friend of Yellen, who eventually went to a door frame. "If she behaves like that during the next financial crisis -- if there is one during her time -- I think we'll be in good hands." Many Fed critics say there's a revolving door between the central bank and Wall Street, but Yellen strikes most of her friends and economists as a Main Street American. In fact, unlike many other Fed members, she's never worked on Wall Street. She grew up in a middle-class neighborhood. Rose, her former Berkeley colleague, believes Yellen has no interest in making lots of money. She has lots of interest in food and cooking though. Friends fondly talk about her delicious pork chop and strong sense for the best food in town. Back at Berkeley, Yellen and another close friend, James Wilcox, often had lunch at a nondescript Chinese restaurant to eat Szechuan shrimp and wash it down with a Diet Coke. Wilcox, also a Berkeley professor, isn't surprised that Yellen became Fed chair. But it wasn't a career goal they discussed over their lunch specials. "I don't think any of us imagined that ... the people you have Szeuchuan shrimp with would end up being the Fed chair," says Wilcox. "Janet is the same person that she's always been." Glenn Khoury went to high school with Yellen at Fort Hamilton High School in Brooklyn. They weren't close but they crossed paths from time to time. Even 52 years after graduation, Khoury still remembers her as "distinctly, very brilliant when it came to finance." "She was going somewhere and she got there," says Khoury, now a customer relations manager at Compass Group, a food service company. Yellen once gave a peek into her real -- though satirical -- self. As a teenage editor-in-chief of the school newspaper, she was charged with interviewing the valedictorian. So, she interviewed herself. "'I understand,' I began, 'that you are a versatile, attractive, talented senior,'" Yellen jokingly said of and to herself in the article, which the Brooklyn Public Library has in its archives. 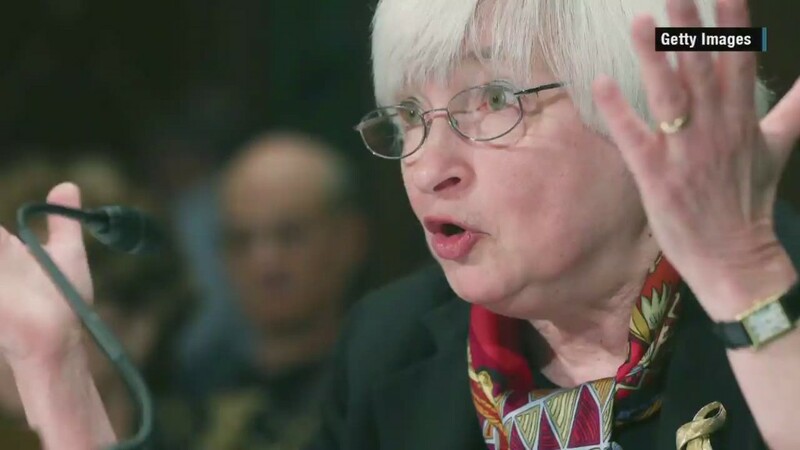 And when she asked herself what she thought about being a high school journalist, Yellen replied: "No comment!" Yellen declined to comment for this article.